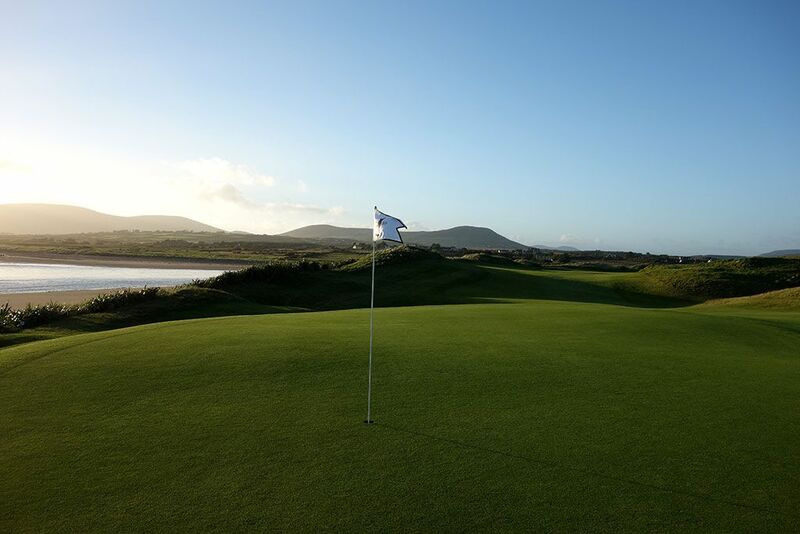 Course Website: Official Website - Visit Waterville Golf Links's official website by clicking on the link provided. 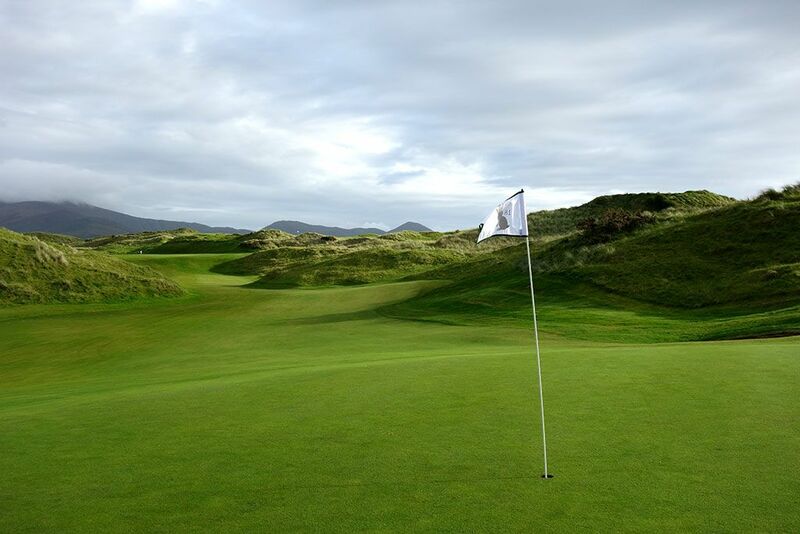 Accolades: Ranked 7th in Ireland by Golf Course Gurus. 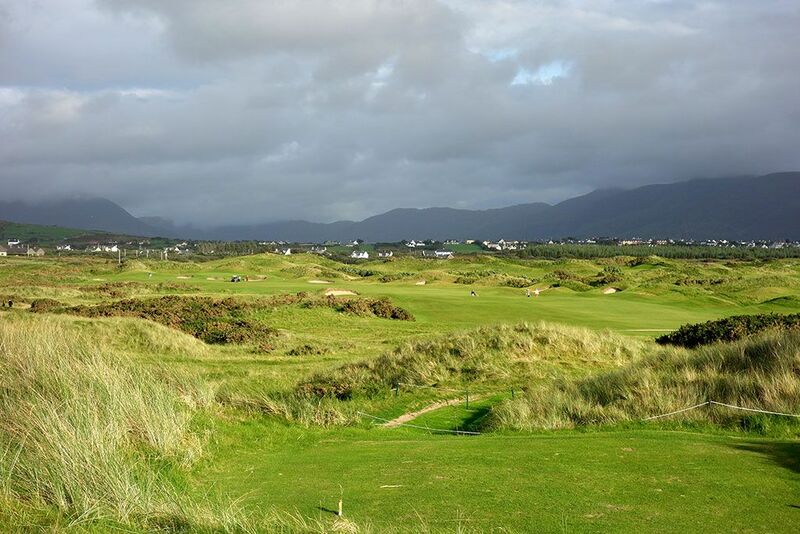 What to Expect: Located in the golf mecca of Southwest Ireland, Waterville stands tall among the impressive group of courses this famous stretch of Irish linksland has produced. Roots of a golf course go back to the late 19th century, but it was in 1973 that the modern layout was created along with some modifications by Tom Fazio in 2002. The unique location for this triangular property features estuary waters along one boundary, the Atlantic Ocean along another, and farm land with mountain views across the base. 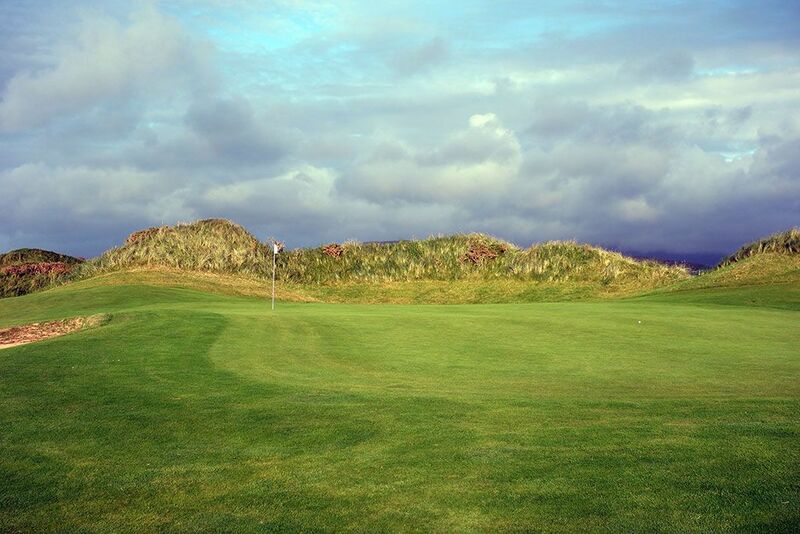 Within the property is a complement of dunes and gorse with rolling terrain that lends itself to memorable holes and excellent green locations. The greens and fairways play firm and fast in true links fashion with plenty of opportunities to decide whether to fly the ball to the hole or chase it up on the ground. While both nines are great, the back nine stands out as one of the best inwards nines you'll encounter with one exceptional hole after another. One thing that can't happen at Waterville is a lapse in concentration. 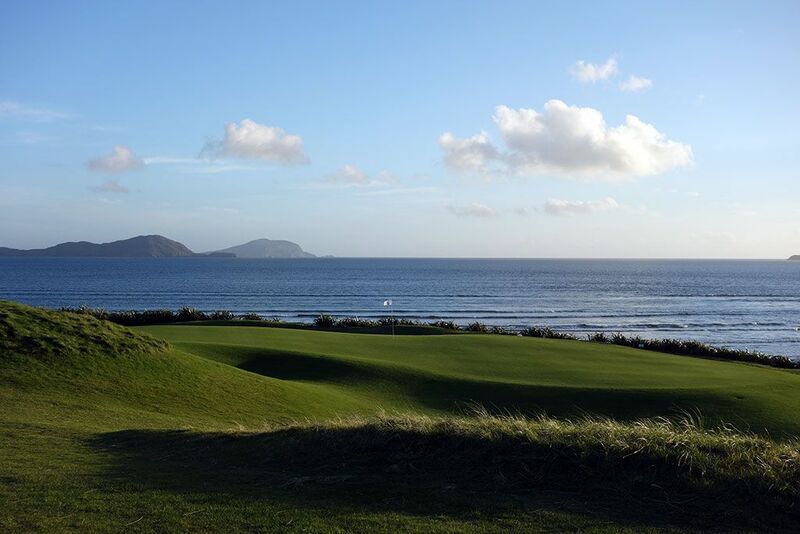 The competitive course record is a 71 (Tony Jacklin) and although lower non-competitive rounds have been shot, you can see why Waterville stands as one of the most difficult courses in the world. In an effort to cater to American golfers which represent a high percentage of the golfers at Waterville, the course offers carts/buggies for patrons that would rather ride than walk. In addition, caddies are available to those that would like to employ one. Signature Hole: 12th Hole – 200 Yard Par 3 – "The Mass Hole" at Waterville carries heavy historical significance to accompany this fantastic design. Playing from one set of dunes to another, the greensite on this one-shotter was originally planned for the valley in front of this putting surface. However when construction began, the Irish workers refused to build the green in the protected valley since the hidden location was used by locals as a place to celebrate mass during a time when doing so was punishable by death. An agreement was made to stretch the hole out by moving the green up to higher ground among the dunes and preserve the sacred ground below. Though the hole doesn't play as originally intended, the result is a scenic and challenging par three that stands as one of Ireland's best. 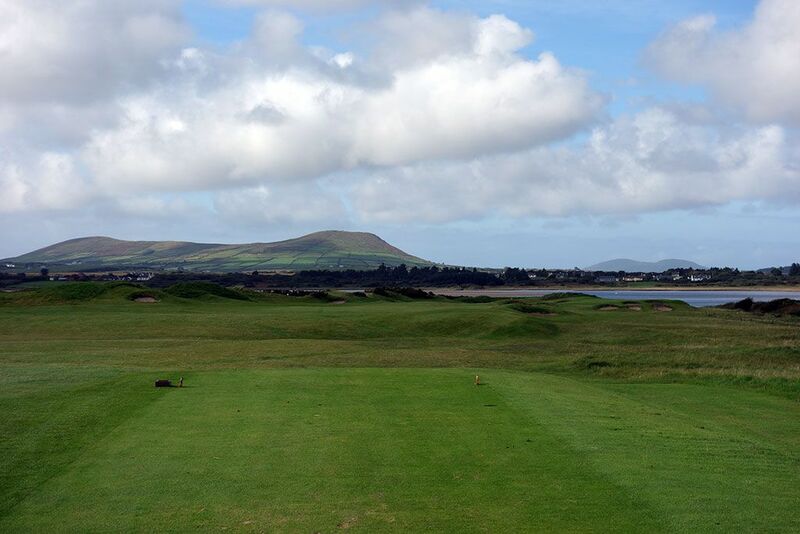 Best Par 3: 17th Hole – 194 Yards – Named "Mulcahy's Peak" after Jack Mulcahy who was responsible for the rebirth of Waterville's links after purchasing the nine hole course along with adjoining duneland in 1968 before commissioning Eddie Hackett to lay out the marvelous 18 hole links that is found there today. 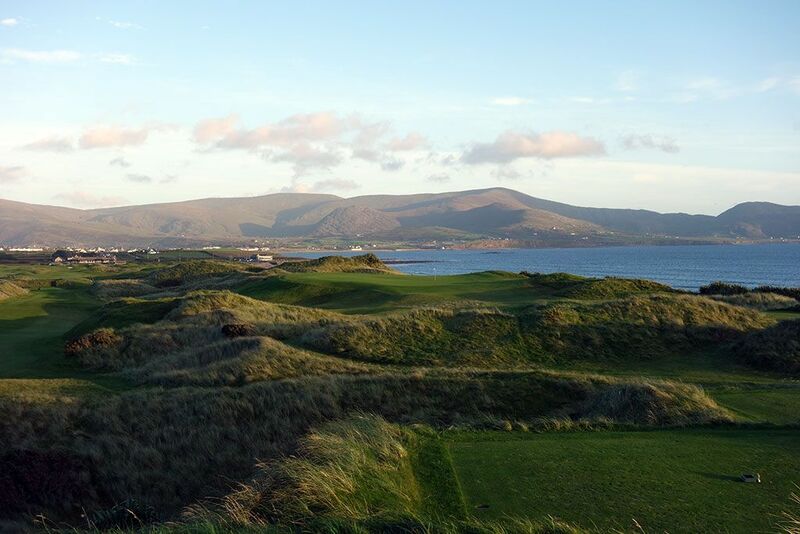 From the highest dune on the course, the 17th tee offers the most impressive views found at Waterville. 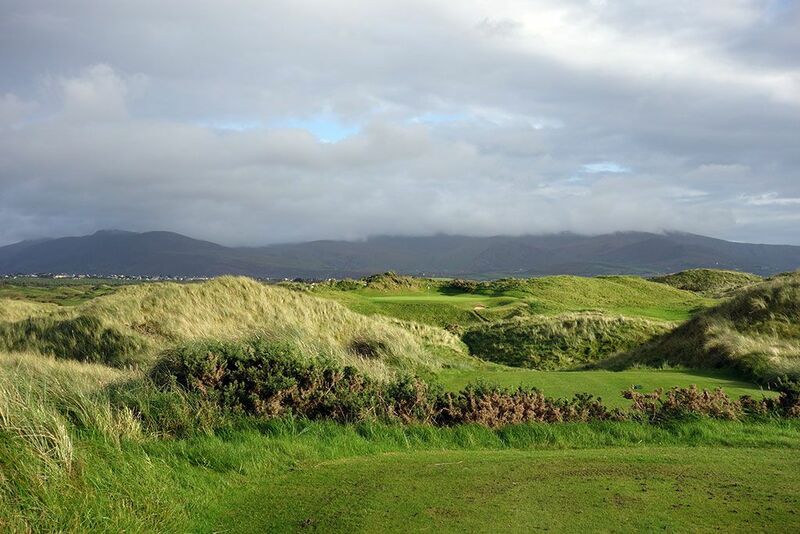 With the ocean rolling behind the green and mountains in the distance, it is easy to see why Mulcahy chose to have the urn containing his ashes buried at the 17th's tee following his 1994 passing. The large green creates a generous target and great chance to card a par. Best Par 4: 16th Hole – 386 Yards – Formerly known as "Round the Bend" due to the way this hole naturally doglegs around the Atlantic coastline, the name was changed to "Liam's Ace" after the club's professional, Liam Higgins, aced this hole enroute to setting the non-competitive course record of 65 from the regular tees. During that round Liam two-putted every hole except the 16th where he didn't need his flatstick at all. This scenic two-shotter tees off at the furthest point away from the clubhouse and finishes at a plateau green boasting dunes on the left and the ocean on the right. Best Par 5: 11th Hole – 506 Yards – Perhaps the most natural feeling hole on the property, "Tranquility" is a splendid golf hole that is an isolated experience as the fairway winds its way between the towering dunes that loom on each side. The short grass roller coasters from tee to green with the elevated tee shot finishing with an uphill approach to a putting surface that boasts a severe false front that will deny weak shots to a chipping area short and right of the green. 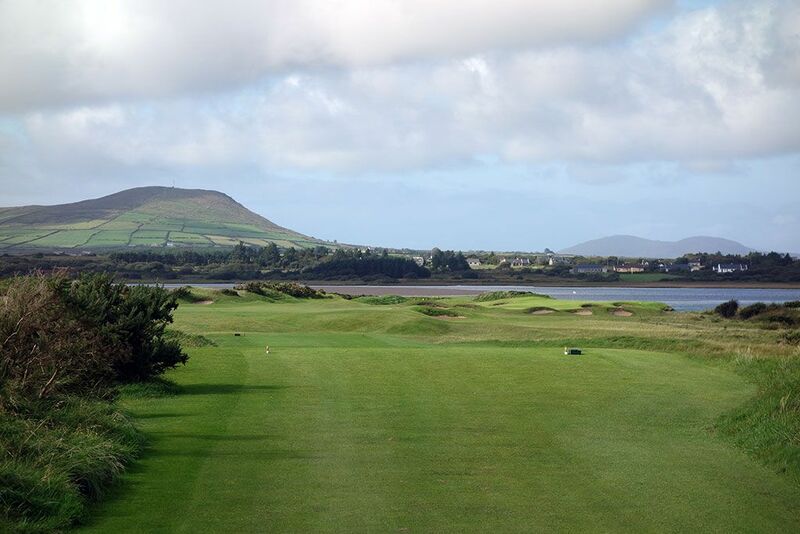 The 11th hole takes Waterville to a new level compared to the golf experienced on the front nine and doesn't let up until the finish; it is truly a special golf hole. Birdie Time: 13th Hole – 504 Yard Par 5 – At just over 500 yards and often downwind, it is not uncommon to reach the par five 13th in two with an iron in your hand. The generous fairway promotes confidence off the tee which can be the first step in picking up a birdie on any hole. The fairway doglegs left which allows players to cut some distance off this hole and reach it all the easier. The green sits naturally at the base of some small dune mounds and provides a nice setting for you to take a stroke back from Old Man Par. Bogey Beware: 2nd Hole – 464 Yard Par 4 – Waterville is chuck full of tough par fours which is a big reason it is such a difficult course, and the 2nd hole is an early punch in your mouth to contend with. This lengthy two-shotter plays towards the estuary with a fairway that bends slightly to the right. When the wind is coming off the water and into your face this hole becomes a beast to reach in regulation which is the quickest way to card a bogey. The green is heavily bunkered and the flat terrain welcomes the wind to play with your ball enroute to the putting surface. 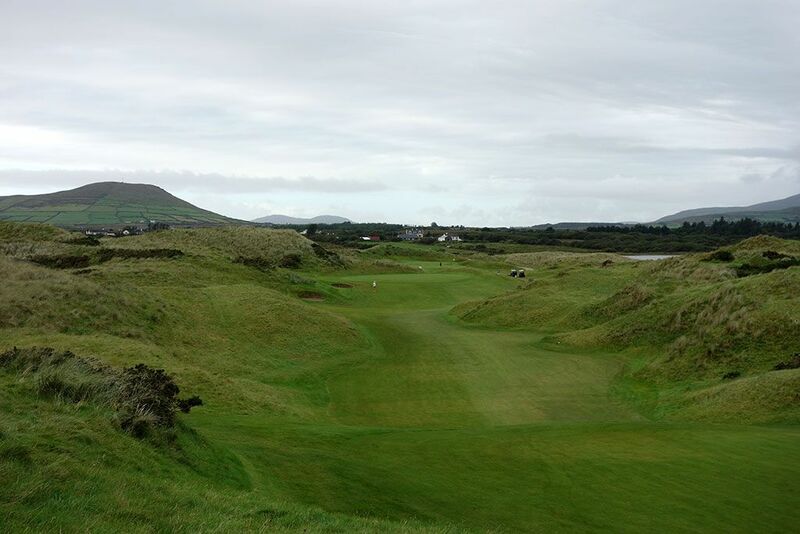 A bogey here is a quick welcome to the bruising test of Waterville.